What's a tablet to do in a world where growing legions of phablets and 2-in-1 hybrids are all vying for a place in consumers' hearts? When the iPad first came out - the first of many tablets to come - many derided it as just being an oversized iPhone. Whether or not you still feel that to be true about the iPad, it did spawn an entirely new category of devices. But we're in 2016 now (yes, we're aware that this review is long overdue), and tablet sales are flagging. In October last year, market research firm IDC reported that global shipments for tablets had fallen for the fourth successive quarter. Even Apple reported in an October earnings statement that iPad sales had slipped 19.7 per cent in the past 12 months. And what did Samsung, the second largest tablet manufacturer, do? 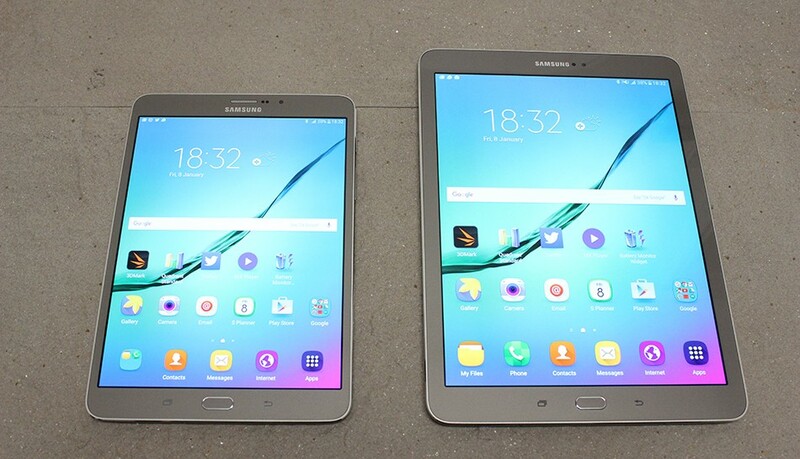 It first launched the Galaxy Tab A with S Pen (8.0) and (9.7), followed by Galaxy Tab S2 8.0 and 9.7, iterative upgrades on 2014's Tab S. For those who don't mind a huge screen, Samsung also launched the huge 18.4-inch family oriented Galaxy View tablet. The Tab S2 is Samsung's newest flagship tablet for personal media consumption, and the company is making a play for your wallet with a design that is thinner and lighter than ever. However, this is a time when Apple just released the iPad Pro, and Microsoft the Surface Pro 4. With the right accessories, they both can double as tablet and laptop (to varying degrees of success of course). Honestly, we're not quite sure that the Galaxy Tab S2 has the chops to hold its ground when there are so many forces that are gnawing away at its market share, but that's also why Samsung just launched the Galaxy TabPro S 12-inch tablet at CES 2016 that runs on Windows 10. But before that arrives on our shores, let's see how the Tab S2 Android based tablet fares in our assessment. 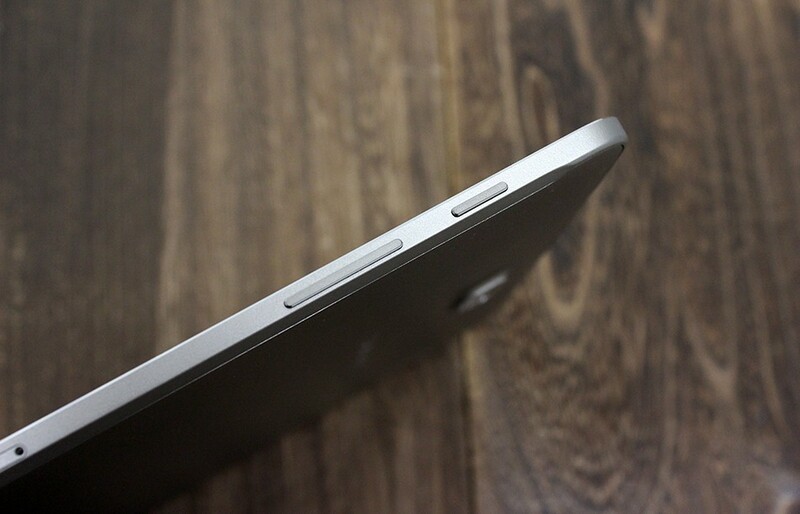 For starters, let's just reiterate that the Tab S2 is thin, really thin. At just 5.6mm thick, both the 8-inch and 9.7-inch models are thinner than even the 6.1mm-thick iPad Air 2 and the older 6.6mm thick Galaxy Tab S. It is also exceedingly light - the smaller 8-inch slate weighs just 272g, while the larger 9.7-inch model is not that much heavier at 392g. Again, these are much lighter than the previous generation counterparts. This effectively means that you can just slip them in your bag and forget that they're even there. You'll also be able to use even the 9.7-inch Tab S2 for one-handed reading over extended periods of time. However, its svelte design isn't without trade-offs. 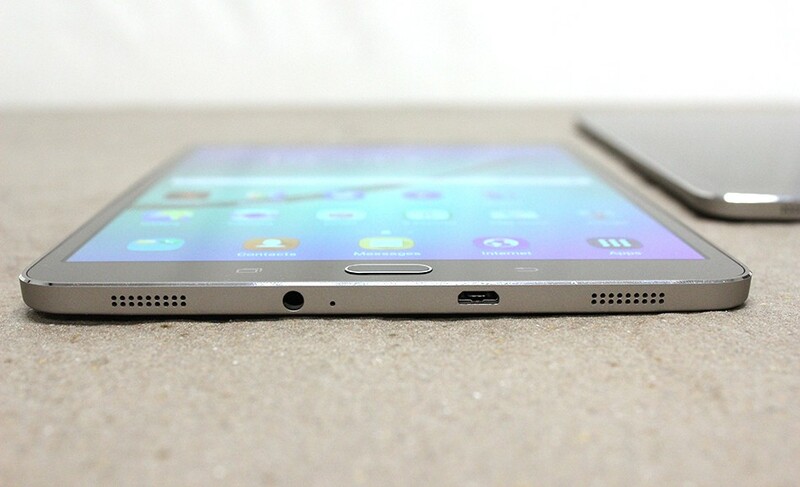 In order for Samsung to make the tablets this slim, something had to go. In this case, that's the battery capacity. Compared to 2014's Galaxy Tab S, which had 4,900mAh and 7,900mAh batteries for the 8.4- and 10.5-inch models respectively, the Tab S2 features smaller 4,000mAh and 5,870mAh juice packs. As we'll see later, this means poorer battery life - not a good sign if you intend to use this as your primary productivity device outside your laptop or PC. Furthermore, it's a given that consumers expect to see improvements moving on to the next iteration of a particular device, and battery life is one of those areas where enhancements are most valued. We have mixed feelings about the trade-off between a slim profile and battery life here, and it really depends on how you intend to use the tablet. Overall, the build quality feels solid enough, although we might venture to say that we'd prefer it to have a little more heft. Part of the reason it's so light is because Samsung has opted for a matte-textured plastic back instead of aluminium. An entirely metal build would no doubt convey a more premium feel, but the soft-touch plastic still looks much better than the Tab S's dimpled plastic back. In our time with it, it also proved quite adept at resisting fingerprints and was pleasantly grippy. 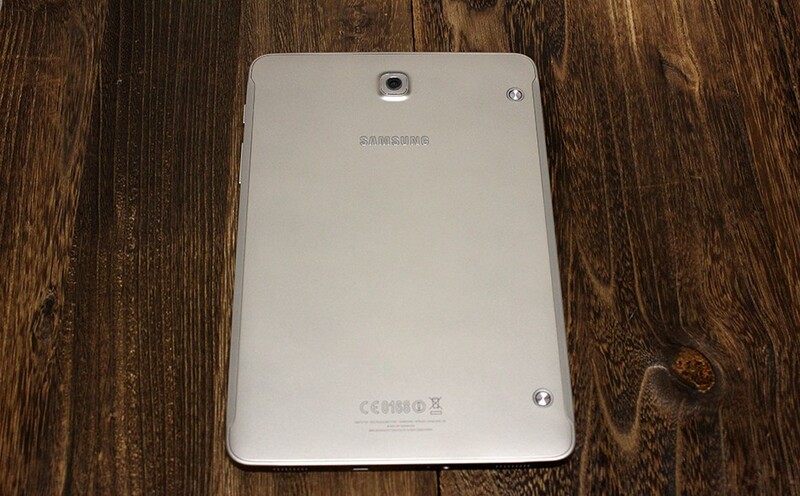 The Tab S2's back is interrupted only by the Samsung logo, a very slight rear camera bump, and two clips for use with the official Book Cover accessory. The power and volume buttons are located along the tablet's right edge. Their colour matches that of the tablet, and we like that there's sufficient space between them so you won't hit one when you're really reaching for the other. Furthermore, there is good resistance to them so you shouldn't encounter too many accidental button presses. Below the power and volume buttons are the pop-out trays for the nano SIM and microSD cards, and the depression above them is the microphone. The Tab S2 comes with 32GB of internal storage, but those of you who are in the habit of storing your photo and video libraries on your tablet will appreciate the fact that the microSD slot supports up to 128GB of extra storage. The 3.5mm headphone jack and micro-USB charging port are located at the bottom, along with the tablet's speakers - all in all a fairly standard setup. When it comes to the silicon powering the tablet, it's a bit disappointing to see that it is using the same octa-core Samsung Exynos 5433 processor (four 1.9GHz A57 + four 1.3GHz A53 cores) as 2014's Galaxy Note 4 smartphone. While it represents an upgrade over the Exynos 5420 (four 1.9GHz A15 + four 1.3GHz A7 cores) used in the older Tab S, the fact that it is reusing innards from the previous year's phones doesn't quite befit a flagship device. The processor utilizes ARM's big.LITTLE core architecture, where the four "big" A57 cores take a backseat to the "LITTLE" A53 cores for less demanding tasks, thus helping to save power. We would have liked to see an upgrade to Samsung's mighty Exynos 7420 chip (found in all of its 2015 flagship smartphones). 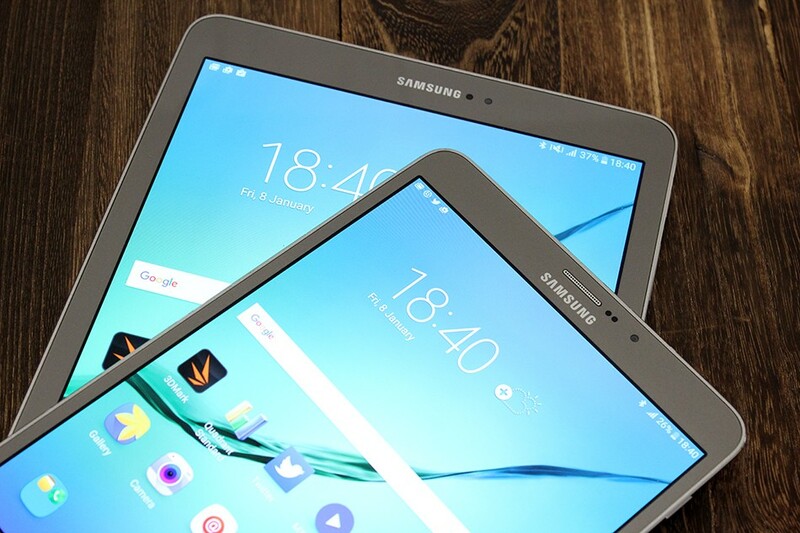 The Galaxy Tab S2 comes in 8- and 9.7-inch versions. Both models are among the thinnest tablets out there. 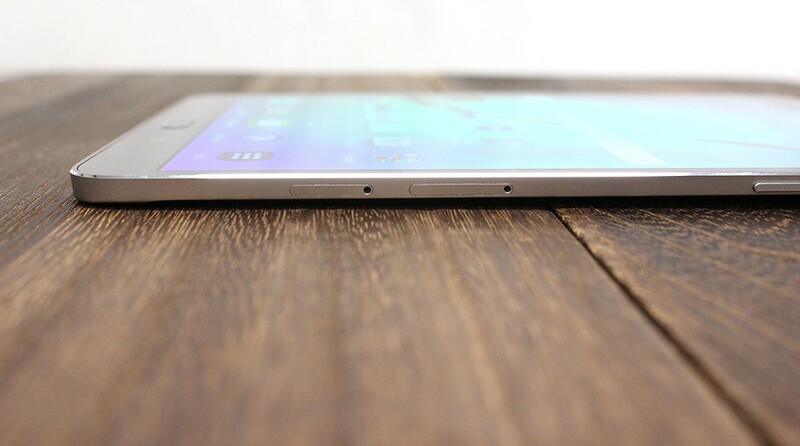 The Tab S2 is just 5.6mm thick, thinner than even the iPad Air 2. The power and volume buttons are located on the right edge and have pleasant resistance to them. The nano SIM and microSD card slots are located next to each other, below the power and volume buttons. The micro-USB charging port, headphone jack, and speakers are all located at the bottom. As with most Samsung Super AMOLED displays, colors are exceedingly vivid. 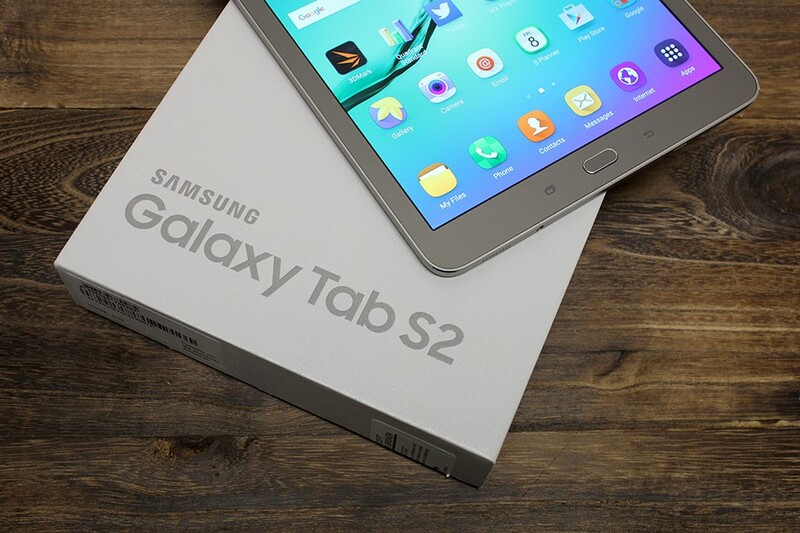 The Tab S2 features Samsung's custom TouchWiz UI. 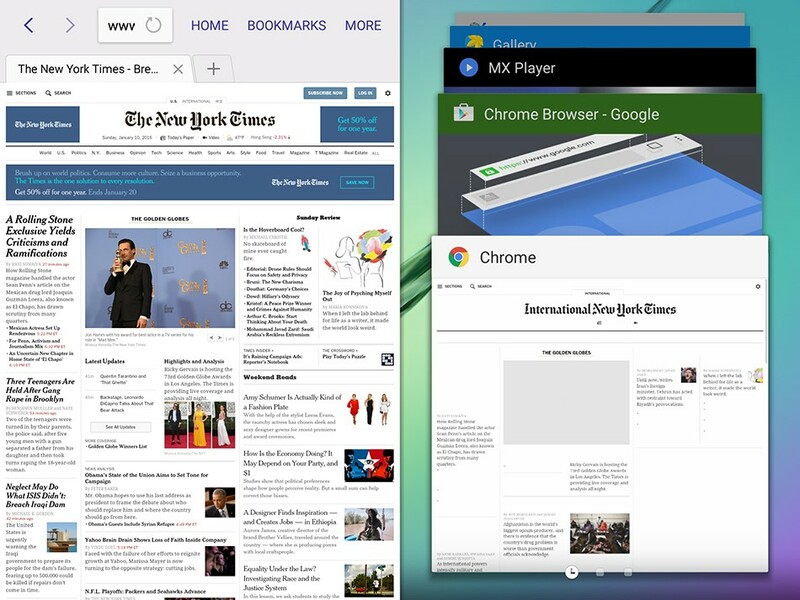 The multi-window mode lets you use different apps side by side. Now you can read and take notes without exiting your browser. Launching the SideSync app will automatically prompt a search for compatible devices. The camera works reasonably well, but colours appear a bit washed out. It's not a bad tablet, but this doesn't feel like the best that Samsung is capable of. 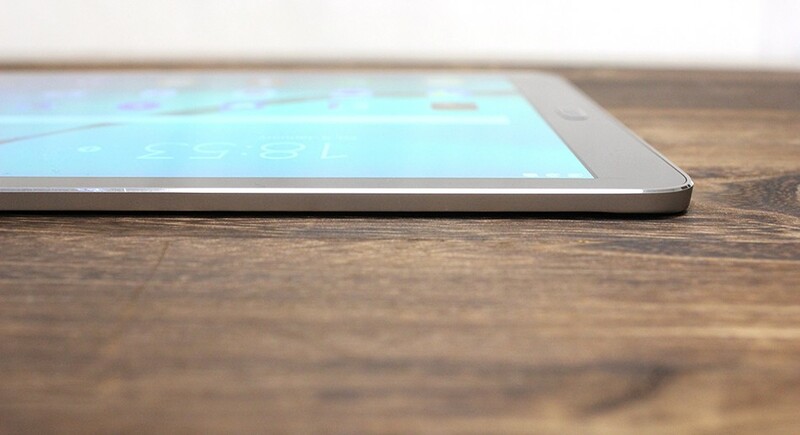 All that aside, the strongest point of the Tab S2 is perhaps its display. Samsung's Super AMOLED panel is as good as they come, and colors are vibrant, punchy and bright (maybe too bright). The display is also one of the key areas that Samsung has improved on coming from the first Galaxy Tab S. The Tab S's display wasn't bad by any means, but its 2,560 x 1,600 pixels resolution gave it a slightly awkward 16:10 aspect ratio that suited it to watching movies, but unfortunately not much else. That was because it was too wide, which didn't give documents and webpages sufficient vertical real estate in landscape mode. That's changed with the Tab S2, which now has a 4:3 aspect ratio. This makes it far better for ordinary everyday tasks, like viewing documents and Web surfing. Whenever there's any talk of improved displays, people generally think of higher resolution and crisper screens. But the Tab S2's display actually has a slightly lower 2,048 x 1,536 pixels resolution, which translates into a pixel density of approximately 320ppi for the 8-inch model, and 264ppi for the 9.7-inch one. That may seem like a step down from their respective predecessors (359ppi for the Tab S 8.4; 288ppi for the Tab S 10.5), but we assure you that the displays are still plenty sharp. Instead, the Tab S2 now takes much better to general productivity tasks, which is great news for anyone wanting to use it for both work and play. 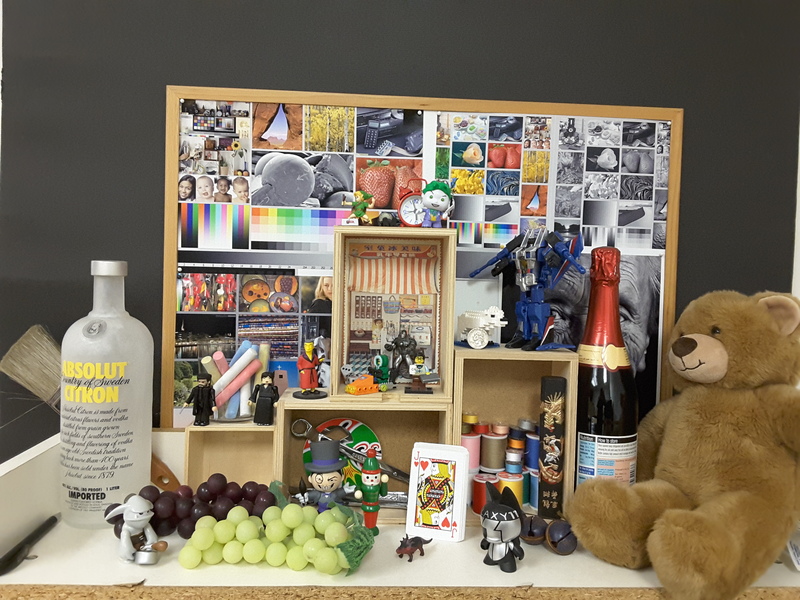 Moving back to the topic of colour reproduction, the tablets ship in Adaptive display mode out of the box, which automatically optimizes the colour range, saturation, and sharpness of the display according to how you're using it. Some of you may like the retina-searing colors this produces, but we personally preferred to switch it to Basic mode. This mutes the colors somewhat, but it is more accurate and is far easier on the eyes. The bottom-facing speakers are good in that they don't end up blasting your tunes into the tabletop, but they are otherwise your run-of-the-mill mobile device speakers. The maximum volume was acceptable, but we still found ourselves wishing that it could be a tad louder and clearer. Although Samsung said that Android 6.0 Marshmallow would be arriving on the Galaxy Tab S2 in early 2016, as of the time of writing, the latest version of Android available on the tablet is still 5.0.2. Like all Samsung mobile devices, the Tab S2 features Samsung's custom TouchWiz UI and supports various features like SideSync 3.0 and Smart Stay. Coming from the Galaxy Tab S, the Tab S2 hasn't really added any major new software features. Nevertheless, the overall TouchWiz interface has been tweaked to be cleaner and more user-friendly. As a productivity device, the Tab S2 lets you view and use different apps side by side. Clearly, this is more effective on the larger 9.7-inch model, but it works well enough on the smaller tablet as well. To begin using apps in multi-window mode, you just need to hold down the Recent Apps button. This will bring up your app drawer, but you can also swipe through a list of cards showing your currently open apps. Whichever app you choose to open will then be displayed automatically by beside whatever you were doing previously. 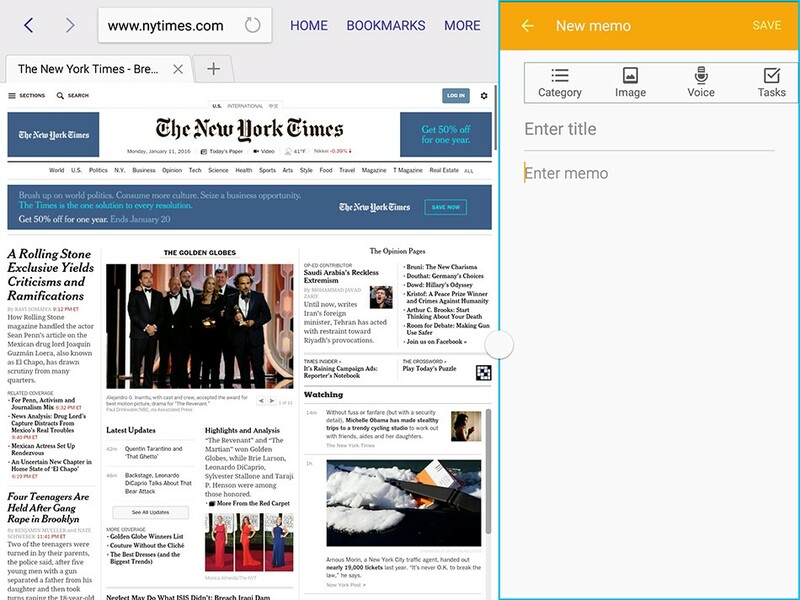 There are options to drag and drop content between compatible apps, for instance between a Web browser or word editor, and also to detach one of the windows and resize it. 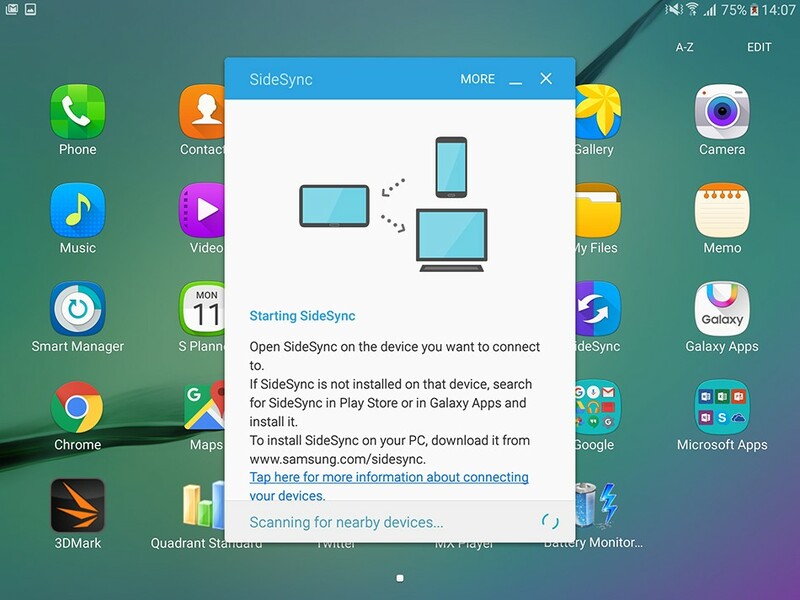 Then there's SideSync, which allows you to mirror the tablet's screen to a PC or another Samsung Galaxy device, for example your smartphone. Alternatively, you can even project your phone's display onto the tablet and use it to answer calls and send texts. In addition, you can pair your PC with the Tab S2 to use your mouse and keyboard to interact more easily with the device. It does this by calling up a virtual tablet interface on your PC, enabling you to do things like access all your notifications, send messages, or perform file transfers more easily. As we mentioned earlier, the Tab S2 utilizes an Exynos 5433 chip, which isn't quite the top-end processor that the Exynos 7420 in Samsung's premium Galaxy phones is. For one, the 5433 is built on a 20nm process instead of the 7420's more power efficient 14nm process. And considering the smaller battery packs that Samsung has included on its new tablets, they could really have benefited from a processor that consumed less power. Both processors use a Mali T-760 GPU, but with some differences. In fact, the Exynos 5433 features fewer GPU cores, slightly lower clock speeds, and slower LPDDR3 RAM instead of LPDDR4 RAM. All this is an improvement over the Cortex A15 and A7 cores used in the Tab S' Exynos 5420 processor, but that still doesn't change the fact that the 5433 isn't the best, or even the newest, that Samsung has to offer. 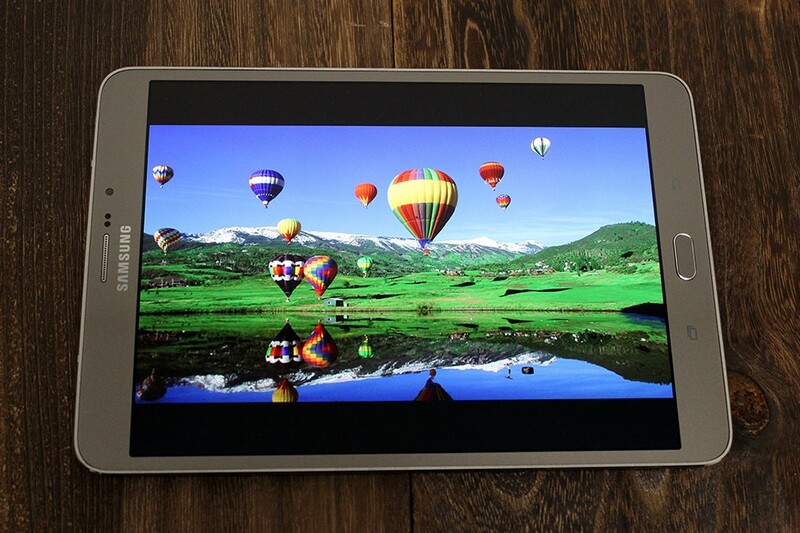 So yes, this is a flagship tablet with not quite flagship components. The Tab S2 also ships with 3GB of RAM, which should be enough for most purposes. Samsung has paired this with 32GB of internal storage, with the option to add up to 128GB of extra storage via the microSD card slot. However, one thing to note is that you likely won't get as good a performance if you prefer Google's Chrome browser - the Tab S2 8.0 posted a result of 960.2ms in the latter browser, more than doubling the timing observed with Samsung's stock browser. Nevertheless, we wouldn't worry too much about these numbers. After surfing the Web with both browsers, the real-world difference between the two are minimal, and you can stick with your preferred browser without caring too much about potential performance differences. Quadrant is an Android benchmark that measures a device's CPU, I/O, and GPU performance. As a result, we've omitted the results for the iOS devices here. Both models of the Tab S2 ended up taking the lead, even over the Sony Xperia Z4 Tablet, which is fairly impressive considering that this is the same processor that is found in 2014's Samsung Galaxy Note 4. We then ran 3DMark's Ice Storm Unlimited test, which uses a mix of graphics and physics tests to measure hardware performance. The first test measures the GPU's ability to process lots of vertices, while the second does the same thing with lots of pixels and post-processing effects. Finally, the physics test switches the load to the CPU to test its ability to process physics simulations, while keeping GPU load low. Performance was considerably lackluster here, and the newer Samsung tablets couldn't hold a candle to the Apple iPad Pro. Of course, that isn't surprising considering the iPad Pro's new A9X processor, but the Tab S2 also fell behind the Apple iPad Air 2, which has not been refreshed since 2014. Frankly, this leaves the Tab S2 in quite a hard place as a new flagship device as it fails to outperform an older tablet that is not even Apple's top model. Camera Performance Tablet cameras aren't intended to be impressive - manufacturers usually save the most impressive hardware for their smartphones - and it looks like an 8MP rear camera with no flash and a front 2.1MP lens is as far as Samsung sees the need to go. Still, there are certain improvements coming from the Tab S, like the ability to shoot 1440p video at 30fps now, up from 1080p30 previously. The f/1.9 aperture is also larger than the f/2.4 one on the Tab S, which should translate into slightly better pictures in poor lighting conditions because of the ability to let in more light. 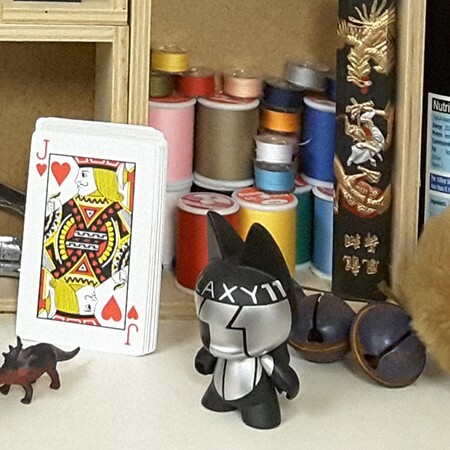 However, as seen below, colors are still a bit washed out and the picture could definitely be sharper. Tablets like the Tab S2 generally aren't meant to be your primary device for photo-taking, and the unimpressive camera shows. Its functional, nothing more, and you'll probably only find yourself using it when you really just need to take a quick picture or don't have your phone in hand. Looping a 720p video with screen brightness and volume at 100 per cent Wi-Fi and Bluetooth connectivity turned on Constant data streaming through email and Twitter As expected, because of its smaller battery pack (5,870mAh vs 7,900mAh), the Tab S2 9.7 performed worse than the Tab S 10.5. That translates into almost a 25 per cent reduction over the Tab S, something that users are likely to notice in their day-to-day use. It lasted slightly over a day for us, which is decent, but we still felt that there was more Samsung could have done to improve it further, like put in a new and more efficient processor. But despite our misgivings, the battery life still compared favourably against our other tested tablets. Of course, it's not exactly a fair comparison given the iPad Pro's massive size and processing heft and the varying battery sizes of the other tablets, but it does show that the Tab S2 still generally manages to stand its ground. However, when it comes to charging, one glaring absence we noticed is the implementation of any form of quick charging. Compared to the fast charging that we're used to on our phones these days, this seems like quite a gregarious omission, and we had to wait around four hours for the tablet to fully recharge. We're aware that these features aren't quite as widespread on the current crop of tablets as they are on phones, but this seems like a missed opportunity on Samsung's part to help the Tab S2 stand out. Ultimately, it seems like Samsung has made a flagship device that doesn't quite seem like one. It is faster, slimmer, and lighter than its predecessor, but it otherwise doesn't offer any other compelling upgrades. In fact, the improvements seem more iterative than anything - consumers expect their devices to shed millimeters and work faster year on year, so that's exactly what Samsung has done. In a nutshell, it's improving the Tab S for the sake of improving it. As we mentioned, there seems to be a lot it could have done to set the device apart from the competition, wireless or fast charging and a more efficient processor to list just a couple, but the company has opted not to do so. 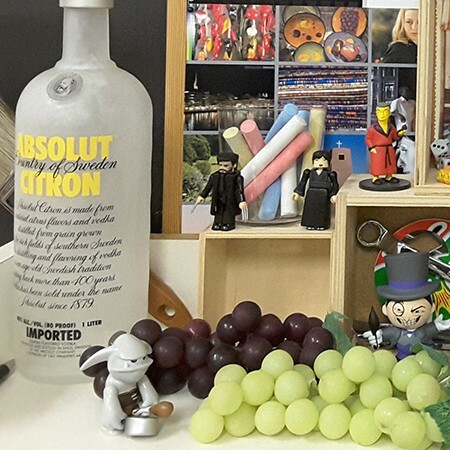 However, we cannot deny that size and weight, the main areas of improvement, matter a lot to consumers. Will the Tab S2 attract buyers? Definitely. The prospect of being able to chuck the tablet in your bag while barely adding any weight will reel in consumers enamored with thinner devices and the Samsung brand. Furthermore, it's also likely to be a prime candidate in the deliberations of consumers on an upgrade cycle, as it deserves to be. On its own, the Tab S2 is by no means a bad tablet. It is an attractive, well-designed device that works well, and consumers will recognise it as such. But from the perspective of a reviewer that follows device trends and has to turn a critical eye on even the most appealing products, the Galaxy Tab S2 isn't the best that it could be.